As we increase our knowledge of both community and culture we improve our ability to do our job both in the relationships with our clients and the appropriateness of our buildings. Despite these practical outcomes, it’s just more fun. Where possible Engawa participate in cultural induction training (and no, that’s not always a euphemism for fishing). 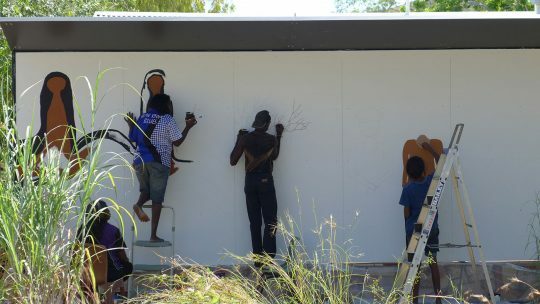 Engawa have worked on many public art projects, most of which are with indigenous artists. 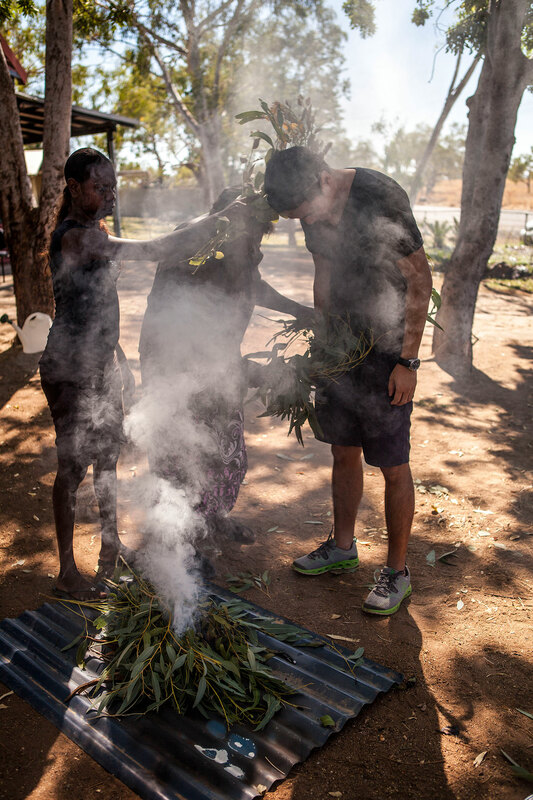 As well as young emerging artists, we have been lucky to work with some of Australia’s most successful indigenous artists. It’s not only the Musee du quai Branly that has a Lena Nyadbi! 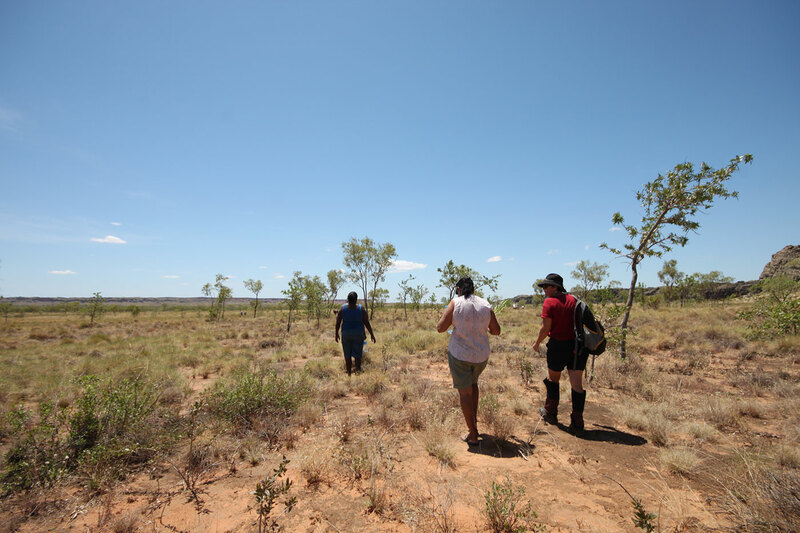 Whilst many sites require a cultural heritage survey, where possible a project will start with a walk around the site with traditional owners.